No one is sure nowadays which of the Daedric Princes were worshiped by the Ayleid clan who built the haunted corridors of Shael, but it was certainly one of the more malefic of the Lords of Oblivion. Specters are the residents that walk its halls. 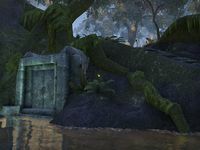 Shael Ruins is an Ayleid ruin in southern Malabal Tor, just north of the Grahtwood gate containing ghosts. 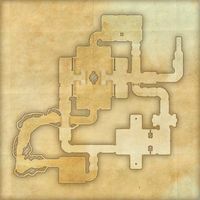 The Spirit Trap in Malabal Tor: Put the spirits of Shael Ruins to rest. Explore and clear the Shael Ruins.